These books are currently available for the Kindle. Just click on the image to buy from Amazon. Walks you through learning the metric prefixes. Shows you how to conceptualize metric weights and measures. Shows you how to convert between metric and customary units. 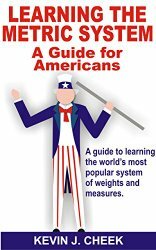 Gives a brief history of how and why the metric system and US weights and measures came to be. Nearly 7 billion people have learned the metric system. So can you. In the years since the visit by the three spirits, Ebenezer Scrooge had made good on the promises he made that Christmas morning. 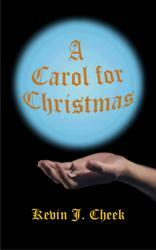 Bob Cratchet is his partner; Tim a bright young man at Eaton; and Scrooge is active in charities. Yet all may not be as it seems. For one of the spirits is convinced that no good comes of what they do, and Scrooge must convince him otherwise. Yet before this night is out, Scrooge will face his darkest question: Has his efforts made things worse than if he had never changed? The fate of not only the spirit but all Scrooge holds dear depends on the answer. And he has only until dawn to find it. The Elven Fire. 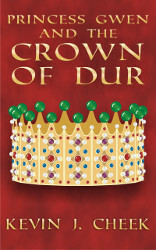 A talisman of great power, the name strikes fear in the hearts of pagan and Christian alike. In the right hands it can restore wasted land. In the wrong, it can become a powerful weapon, or worse. When the Elven Fire is stolen in the old mining town of Patina, it’s more than a case of theft. It’s a disaster waiting to happen. For former jewel thief and swindler Silas Grimmer, now acting constable of Patina, the Elven Fire is all this and more. He once used it in a scam that made a powerful enemy. 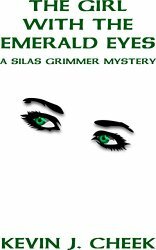 When a beautiful green-eyed woman reports it stolen, he wonders if his past has caught up with him again. But crime, like magic, may not be all as it seems, and Silas Grimmer must sort out what is real and what is not before the Elven Fire destroys them all. Changeling: A human child switched by fairies with one of their own. The stuff of legend even in Patinia, a town that’s seen more magic than it wants. Yet that’s the claim of a man caught trying to murder his own son. 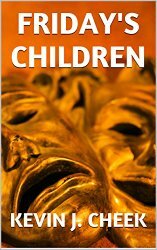 Is the boy a changeling, as his father claims, or is he trying to save his neck from the gallows? 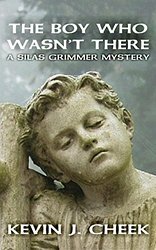 For constable Silas Grimmer, the question becomes all this and more, as he becomes accused of attempting to take the boy for himself; he and his wife long to have a child of their own. And the boy may be a pawn in a game more sinister than anyone imagines. Henry Blighe had little use for superstition. That changes when he discovers he’s the victim of a centuries old family curse. Worse, the only one who can remove it died centuries ago. But Henry’s not about to give up without trying, and he just might have a trick or two of his own. 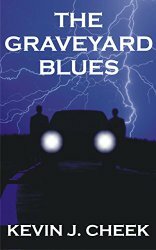 When he has a flat on the night of the conservatory auditions, music professor Daryl Jackson is surprised when he’s offered a ride by local crime boss Pickaxe. More surprising is that Pickaxe knows him, even though he’s never met him before now. Or has he? And will this ride be Jackson’s last?